LONDON- Given that arterial disease is the leading cause of death in developed countries, doctors have employed different technologies to ascertain the onset and severity of cardiovascular disease. 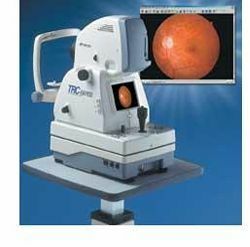 Since 1851 when the first ophthalmoscope was developed, doctors have been able to directly view arteries at the back of the eyes. Years later, pictures of the blood vessels were taken which helped eye doctors diagnose and chart the progression of various eye disorders. Then, beginning in the 1960s cardiologists began injecting dye into blood vessels and viewing an x-ray fluoroscope to find arterial blockages throughout the body. Angiograms, as they care called, usually aren’t obtained until symptoms of arterial disease are apparent. 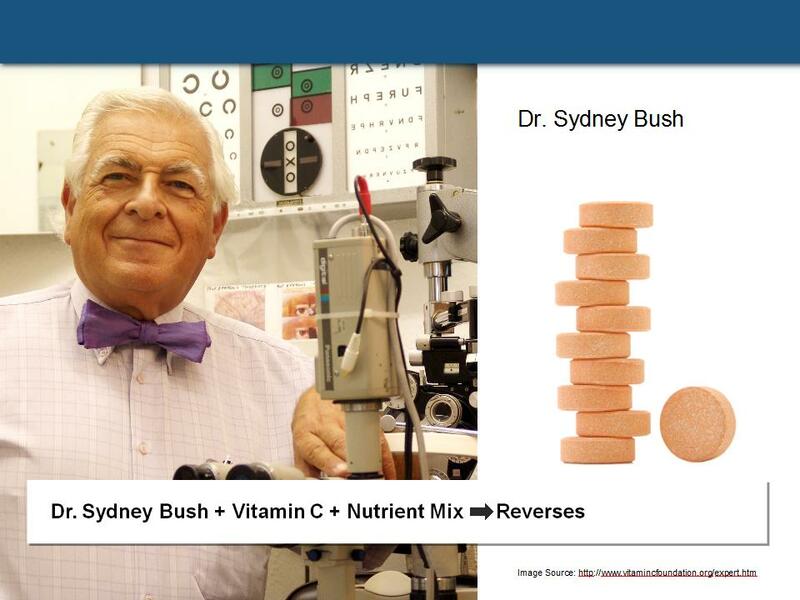 In the course of his practice of placing patients on vitamin C to prevent or treat contact lens problems, Dr. Bush serendipitously discovered high-dose vitamin C reversed the tendency to arterial disease, seen in both the external and internal eye images and he had the photographic evidence to prove it. Dr. Bush’s letter could be historic. If Dr. Bush is correct, millions of strokes, heart attacks, and coronary artery operations could be avoided with early supplementation with vitamin C. Dr. Bush calls this new approach to cardiovascular health from a study of the retinal blood vessels CardioRetinometry. He says that with further research it may prove to be a better surrogate outcome predictor of coronary artery disease than present diagnostic systems. But is the medical community ready to embrace such a simple technology that would prevent much of the cardiovascular disease being treated today? The worldwide figures are staggering – 600 million have hypertension. The World Health Organization says some 20 million strokes occur each year. Two million angiographies are performed annually in the US. Virtually every adult over age 40 is at risk for arterial disease. Angiography is much too expensive to be a screening tool (~$2000). 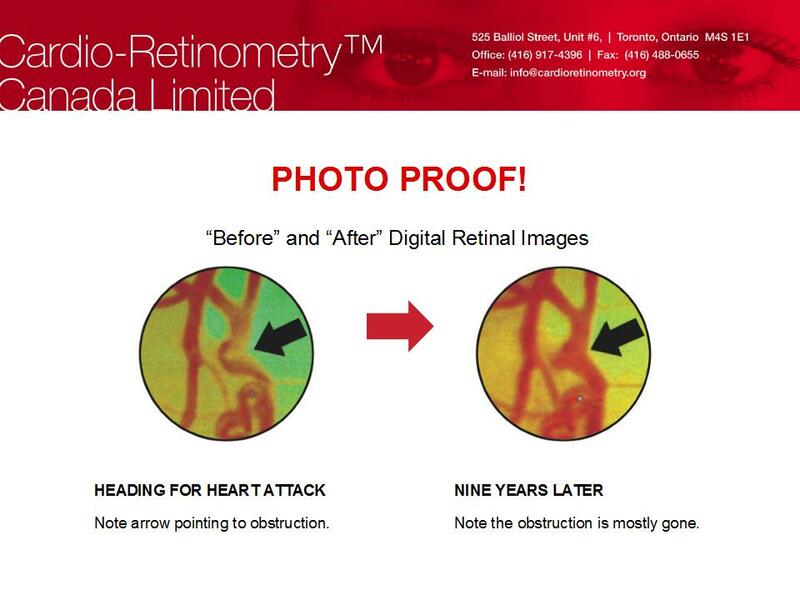 Dr. Bush’s retinal photographs could be a cost-effective breakthrough. Insurance plans don’t pay for retinal photos without an indication. But the public can afford to pay, out of pocket, to have retinal photos taken during eye exams. Progression or regression of pericorneal artery health and more seriously, retinal arterial narrowing can be monitored. It will take the world some time to fathom what Dr. Bush has revealed. Dr. Bush has already been the victim of some dirty tricks, in this case a false accusation that he placed the name of a physician on one of his CardioRetinometry brochures without the doctor’s permission, but that allegation soon disappeared. He fears cardiologists will retaliate in some fashion over a technology that could turn many of them into cab drivers. Dr. Bush has been interviewed on television and radio and his website ( http://www.hullcontactlensclinic.co.uk/cardior.htm ) has been flooded with inquiries. He mulls over how entrenched medical authorities will attempt to maintain the status quo. One approach could be the upcoming limitation on doses of vitamins and minerals now being established by a world trade body called Codex. If Codex can limit vitamin C pills to no more than a few milligrams, it will be more expensive to practice vitamin C therapy. Agents for Hearteries ® brand nutrients.